Oracle has unveiled what it claims is the industry's first highly scalable second tier of disc storage that optimises tape processing in mainframe environments. 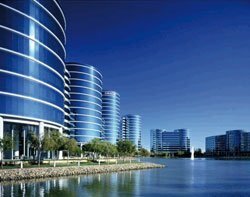 Oracle acquired StorageTek through its acquisition of Sun in 2009. The StorageTek Virtual Library Extension (VLE), enables mainframe users to keep active data on disc longer before migrating it to tape for long-term storage, Oracle said. By using discs for tier-two storage with The StorageTek tape system on the third storage tier, Oracle claimed users could achieved twice the cost savings of a disc-only system. John Fowler, executive vice-president, systems at Oracle, said, "This innovative approach to mainframe tiered storage provides customers with a way to cost-effectively keep data on disc for longer time period while still leveraging the long-term cost savings of tape." The StorageTek tape libraries support both mainframe and non-mainframe environments within a single library. According to Oracle it can support integrated data protection with Oracle Exadata Database Machine, Oracle 11g Recovery Manager and Oracle Secure Backup software running with Oracle Solaris and Oracle Linux.